A stunning home where you can hang your heart! 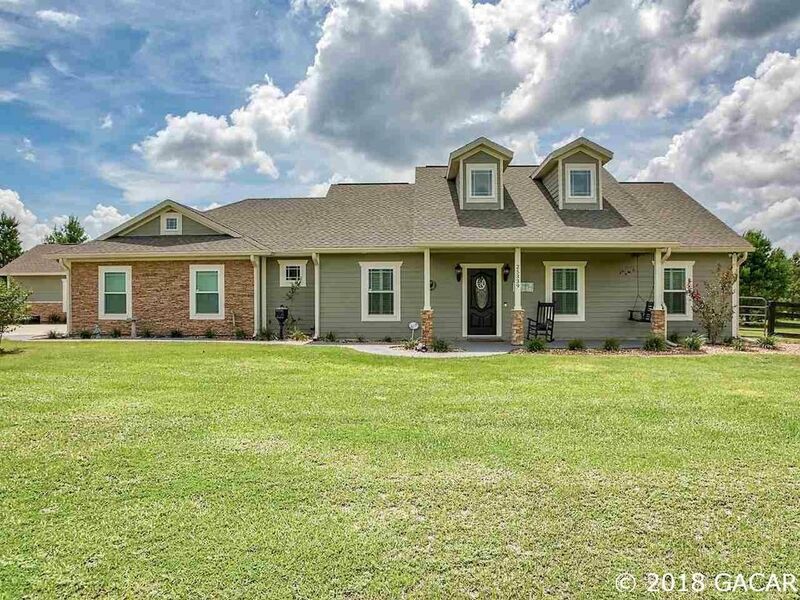 This custom-built 3/2 plus an office is located at the end of a paved road right off SR 45 between High Springs & Newberry! When ordinary isn't good enough, this home has just what you are looking for with hand-scraped wood floors and travertine tile throughout, crown molding throughout the home plus double crown in the main living area, extensive stone work in many areas, vessel sinks, a built-in entertainment center and built-in cabinets & shelves throughout, tray ceiling in the master bedroom, roman tub in master bath, plantation shutters, surround sound speakers built in the great room and more! The kitchen has custom wood cabinets, stunning corbels, granite counters, stacked stone back splash, a pot filler faucet, built-in microwave, custom lighting and more! Out back there is an oversized screened porch to sit and enjoy the weather and great views plus a summer kitchen beyond that with a built-in BBQ grill to enjoy! Did I mention the 560 SF detached building that matches the home? It has been finished on the inside to code & fully insulated to be whatever you want plus a workshop with a roll up door off the back for you! It's ready for you! Don't delay - call today!